"...Americans will not long tolerate the view that the environment must be sacrificed to the economy. We in the Georgia Conservancy believe, and have often been able to demonstrate, that ecology and economy must be and can be pursued hand in hand." - Georgia Conservancy Board Chairman Clay Long, 1996 Chairman's Message. The Georgia Conservancy champions the re-authorization of the Clean Air Act and works to make sure the U.S. E.P.A. retains oversight authority of state programs. The Georgia Conservancy encourages stronger state regulations requiring shrimp fishermen to use turtle excluder devices in Georgia’s waters to protect endangered and threatened sea turtles. The Georgia Conservancy helps to develop and promote standards that protect Georgia’s groundwater recharge areas, water supply watersheds and wetlands. Members of the Georgia Conservancy celebrate 20 years of Earth Day. Little Tybee Island and Cabbage Island are acquired by the state. A coalition of environmental groups led by the Georgia Conservancy successfully influenced the state to withdraw its proposal to build the West Georgia Regional Reservoir in Haralson County. National Marines Sciences Committee accepts Right Whale recovery program proposal drafted by the Georgia Conservancy. TGC supports legislation creating a Georgia Superfund program. Georgia Conservancy members play a major role in producing the first Global Forum Conference in North America bringing together representatives from business, government, the faith community, education, the arts, media, service groups and youth to collectively address environmental problems. Green Peaches, now Generation Green, establishes themselves as the Conservancy’s organization for environmentally-aware young professionals. TGC releases “Stream of Conscience – Natural Solutions for Clean Water,” an educational video that wins several professional awards. The Georgia Conservancy encourages the Atlanta Committee for the Olympic Games to consider making green choices when planning activities and events for the 1996 games. The Conservancy hosts its first ecoBenefete gala to celebrate the organization’s accomplishments and applaud the efforts of its patrons. The Georgia Conservancy sets up a Jekyll Island Task Force to convince state policy makers and the Jekyll Island Authority to abandon a golf course design that would have placed two holes in the vulnerable dunes. Panorama highlights the advantages of the New Urbanism movement and its potential positive impact on Atlantans’ lifestyles and the environment. The Conservancy launches Blueprints for Successful Communities, a program designed to steer cities toward thoughtful land use decisions with regards for both economic interests and preserving the environment. There is justice for the world. The Georgia Conservancy helps foster an environmental court which will manage environmental violations such as solid waste problems, fire hazards and illegal signage. 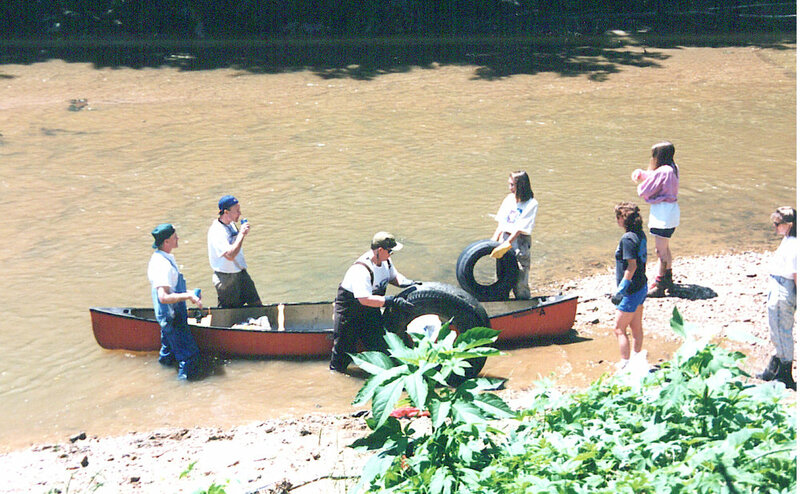 The 1995 annual conference encouraged members to take a hands-on approach to watershed management resulting in a new Conservancy project, the Community-Based Watershed Action Program. Conservancy young professionals group,Generation Green, completes an environmentally –friendly habitat for humanity house in Atlanta. The Georgia Conservancy enters the information age and goes online! 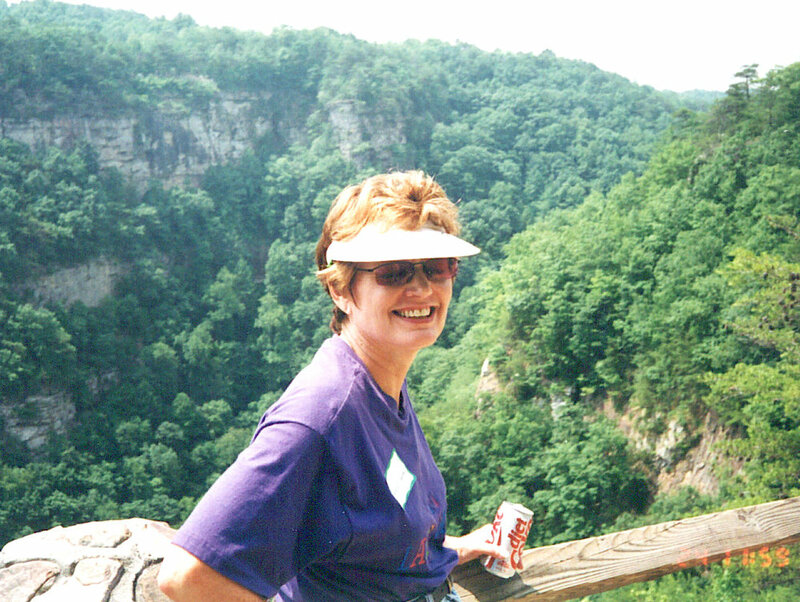 Adhering to Conservancy recommendations, Governor Zell Miller develops River Care 2000 to encourage river protection by local landowners, organizations and governmental bodies. The Atlanta Olympic committee acquiesces with the Conservancy’s “Statement of Environmental Goals” enabling sports fans from around the world to experience an environmentally friendly Olympic Games. Atlanta hip-hop duo OutKast releases groundbreaking album, ATLeins. The Conservancy celebrates its 30th birthday with a gathering at Callaway Gardens and a beach party. The Federal Energy Regulatory Commission accepts the Conservancy’s Tallulah Gorge Task Force’s recommendations for seasonally-based water flows for Tallulah Falls which balance needs for hydropower, state park visitation, neighboring lake levels and water recreation. The Conservancy favors an increase in motor fuel tax in order to fund transportation alternatives such as commuter rail, intercity rail, sidewalks, and bike paths. The action of Conservancy members and environmentalists from across the country prompt the EPA to create stronger air quality standards for ground level ozone and fine particulate matter. The Georgia Conservancy encourages DuPont and Company to conduct a study to determine the environmental impact of a proposed titanium mine in the Okefenokee Swamp hoping to receive a “no mine” decision. Together with Georgians for Transportation Alternatives and the Federation of Georgia homeowners, the Georgia Conservancy launched the Livable Region Campaign in order to give neighborhood associations a voice in the region’s decision-making process. The Georgia Conservancy participates in the Appalachian Scenic Corridor Study’s advisory council as a part of the Governor’s Road Improvement Program. Georgia participates in the Coastal Management Program providing federal funds for Coastal Incentive Grants. The Georgia Conservancy and other state environmental organizations succeed in shepherding a bipartisan trio of legislation giving Georgia voters the opportunity to create a public trust fund to conserve Georgia’s natural and cultural resources. The Georgia Conservancy, the Urban Land Institute, the Environmental Protection Agency and the Successful Communities Partners host a two-day Smart Growth Conference at the Carter Center to explore environmentally sustainable growth in Georgia. The Georgia Conservancy participates in the ongoing process that will determine how much water Georgia, Florida and Alabama can draw from two major river basins, the Apalachicola-Chattahoochee-Flint and the Alabama-Coosa-Tallapoosa, and works to promote balanced water management plans that protect the river basins’ diverse aquatic resources. TGC participates in the Metropolitan Atlanta Transportation Initiative in order to make recommendations to the Governor for alleviating the Atlanta region’s air quality and traffic problems. The Georgia Conservancy, Sierra Club and Georgians for Transportation Alternatives challenge $700 million in proposed road projects claiming the government agencies proposing the projects violated the Clean Air Act. Of the 61 projects in the transportation improvement plan, 44 are stopped. The Conservancy works to bring the total authorized acreage of the Chattahoochee River National Recreation Area up to 10,000 from 6,800. The Georgia Conservancy receives The Georgia Planning Association’s “Innovative and Effective Planning Process” award for the community design workshop process that is the outgrowth of the Blueprints program. The first annual Youth Environmental Symposium was held in April with topics ranging from ecology to water issues. The Conservancy begins working with four counties along the University Parkway and the proposed commuter rail corridor between Atlanta and Athens to help communities evaluate land use and development options. The University Parkway study is the first Blueprints initiative on a regional scale, and it is recognized for its potential to serve as a model for all commuter rail planning in Georgia.